: Cost of Primo Hoagies Franchise? How Much Does It Cost to Own a Primo Hoagies' Franchise? Owning a Primo Hoagies quick service restaurant (qsr) franchise can be a lucrative business, but it does have some initial financial requirements. To open a single sub shops location, the company requires that potential franchisees have liquid assets of at least $100,000. The franchisee startup costs associated with owning a Primo Hoagies quick service restaurant (qsr) franchise are similar to those of BlimpieThe Beach Hut DeliPlanet Sub. 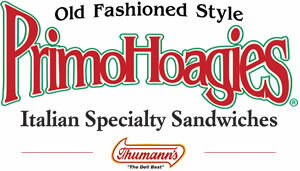 Primo Hoagies falls under the 'food' and 'high capital' franchise categories. Across these multiple categories, it is further subcategorized under 'deli', 'fast food', 'quick casual' and 'sub sandwich'. See how the investment level of Primo Hoagies' compares to those of other available food related franchises. The success of Primo is attributed to an excellent, long-tenured staff that regularly serves up a combination of quality, consistency, and originality. Our large and diverse menu features dozens of Specialty Hoagies, most of which are our very own original creations. Primo Hoagies is not currently accepting new franchise inquiries through this site. Please see our comprehensive directory for currently available franchises near you. Incorporated Name PrimoHoagies Franchising, Inc.